Smithers, British Columbia, Canada is located on the banks of the Bulkley River in the Bulkley-Nechako Valley Region of North British Columbia, Canada. The community is surrounded by mountains including the Hudson Bay Mountain, Babine Mountains and the Telkwa Mountain Range. Smithers is reminiscent of a village in Swiss Alps, hence why the community is referred to as "BC's Little Switzerland". Activities and attractions most enjoyed in and around Smithers and the surrounding areas includes hiking, fishing, boating, bird watching, canoeing, mountain biking, kayaking, rafting, horseback riding, wilderness backpacking, wildlife touring, rock climbing, off roading, golfing and downhill skiing, snowboarding, xc skiing, ice climbing, heli skiing, snowmobiling, and snowshoeing. A few of the more popular activity and sightseeing destinations located in and around Smithers, British Columbia includes the Babine Lake, Babine Mountains Provincial Park, Glacier Gulch Trail, Simpson's Gulch Trail, Driftwood Canyon Provincial Park, Smithers Community Forest, Tyhee Lake Provincial Park, Twin Falls Trail, Seymour Ridge Trail, Perimeter Community Trail, Kathlyn Lake, and Hudson Bay Mountain. 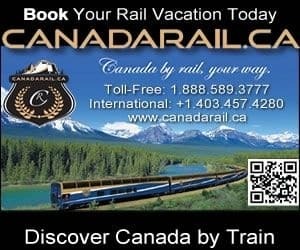 The most visited natural sightseeing attractions, historical sites and cultural venues in and around Smithers British Columbia includes the Kasan First Nation Village, Old Hazelton Historic Village, Crater Lake, Hagwilget Canyon, Telkwa Village, Bulkley Valley Museum and Moricetown Canyon. Travel services and amenities important to travelers in and around Smithers British Columbia includes accommodations (hotels, fly in fishing lodges, outfitter camps, motels, bed and breakfasts, vacation homes, resorts, cottages, cabins), campgrounds, tours, guides, restaurants, laundromat, coffee shops, grocery stores, pubs, liquor stores, gas stations, gift stores, and transportation services including taxi, and the Smithers Airport (YYD). eh! Plan to Visit Smithers, BC today.